Most people who struggle with panic want very much to know what causes panic attacks. There are really two questions here. The first one is what causes an individual anxiety attack. This is very important because once you know how panic attacks work, you will be in a good position to free yourself from panic attacks. The second version of this question has a very different meaning. When people ask "what causes panic attacks? ", they often don't mean an individual attack. They want to know "why" they have this problem. They frequently ask themselves the "Why?" question, especially when they are having a panic attack. Many people report mood swings and anxiety after ingesting man-made sweeteners, like aspartame and high fructose corn syrup, food dyes (including Red #40 and Yellow #5) and flavorings like MSG. Direct links between artificial food additives and mood are still under investigation though they've been implicated as a cause of ADHD and autism in children. The fact is that dyes and artificial sweeteners are neurotoxins that can disrupt normal nervous system function, leading to increased symptoms of anxiety. Medicines that contain caffeine, including several headache and migraine relievers, some cough medicines, decongestants, asthma medications and weight-loss supplements that includes stimulants, can lead to increased heart rates and a spike in feelings of anxiety. Popular herbal remedies and supplements like St. John's Wort, ginseng and kava kava may also cause or increase unease. Symptoms of food sensitivity can range from digestive issues like stomach pain to difficulty breathing. While both of these problems can cause anxiety, there's also increasing evidence that food sensitivities affect mood directly as well. Gluten, soy, dairy -- even chocolate -- can impact hormones lelvels and other key chemicals in the brain, upsetting the delicate balance needed to keep the body and mind in control of anxiousness. In our harried, stressful world, skipping a meal here and there is all too common. What's more, many people who are anxious and stressed may feel they have no appetite or simply lack the desire to eat. But for most people used to regular meals, skipping meals causes a drop in the body's blood sugar levels. If prolonged, this drop may lead to increased feelings of anxiety and irritability. Other anxiety-provoking effects of low blood sugar are dizziness, light-headedness, confusion and weakness. A 2009 study at Tufts University found a clear link between hydration and mood. The study found that student athletes who were just mildly dehydrated reported feeling angry, confused, tense and fatigued. Staying hydrated is essential to keeping the body's physiological functions running smoothly, including speeding the healing process and removing toxins. Drinking enough water daily may be one of the easiest ways to help the body control its nerves. Millions of people rely on a regular caffeine fix to jump start their day or to perk up when their energy nosedives. But too much is no good. "Caffeine-induced anxiety disorder" is actually a recognized condition found in The Diagnostic and Statistical Manual of Mental Disorders, the "bible" used by mental health experts throughout the United States. As most people are aware, too much caffeine can cause a racing heartbeat, which can trigger a panic attack. And while a little caffeine can improve one's ability to focus, too much may increase nervousness and a host of anxiety symptoms, like sweating palms, ringing in the ears, even feelings of impending doom. Relying on smoking, drinking or using drugs to feel calmer can backfire. Nicotine is a stimulant that studies have shown can raise blood pressure and heart rate. In addition, the carbon monoxide in cigarette smoke also may cause breathing problems that the body responds to as if it's suffocating, increasing the likelihood of panic attacks. As for alcohol and drugs, people suffering from an anxiety disorder are two to three times more likely to abuse these than the general population, according to the Anxiety and Depression Association of America. Both alcohol and drugs can lead to panic attacks and their disruptive effect on the central nervous system limits the brain's ability to calm the mind and body. Many therapists stress that persistent negative thinking really does have a harmful effect on our emotional well-being. Ever hear of automatic negative thoughts (or ANT’s)? These are quick, unconscious, off-the-cuff criticisms that the mind churns out when faced with stressful situations. "Why did I do that?" "Why am I so dumb?" and other negative self-criticisms wreak havoc on your emotional state. The good news is that a therapist can help you identify these ANT’s and reduce the power they have on your psyche. A song, smell or location can be unconsciously linked to a bad feeling or memory, which can be problematic. This is perhaps most common in cases of post-traumatic stress disorder (where, for example, a soldier hearing a loud bang may associate the sound with gunfire and thus become anxious), but it can occur in other types of anxiety as well. 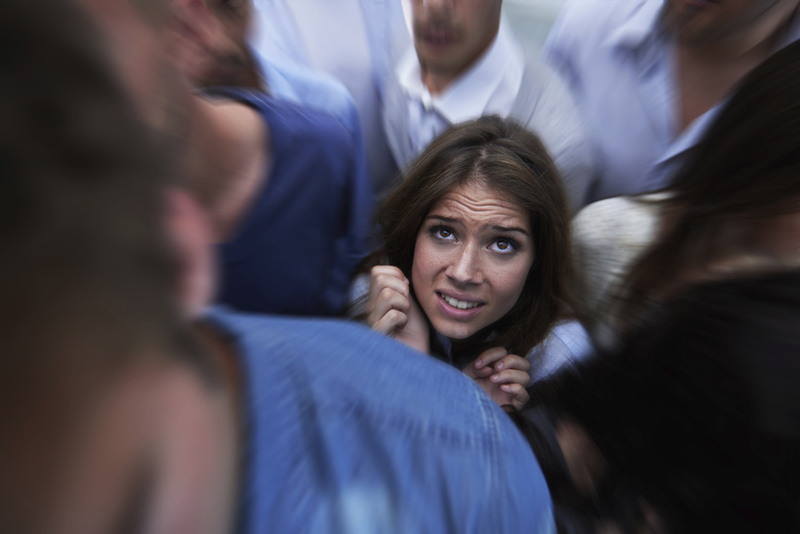 Identifying anxiety-provoking unconscious cues on your own can be difficult. However, with the help of a therapist it's possible to untangle this complicated process and put negative thoughts in their place.